Once, high above a pasture, where a sheep and a lamb were grazing, an eagle was circling and gazing hungrily down upon the lamb. And as he was about to descend and seize his prey, another eagle appeared and hovered above the sheep and her young with the same hungry intent. Then the two rivals began to fight filling the sky with their fierce cries. The sheep looked up and was much astonished. She turned to the lamb and said, “How strange, my child, that these two noble birds should attack one another. Is not the vast sky large enough for both of them? And the lamb prayed in his heart. A very relevant post to the current scenario…lovely! Thank you for sharing this piece and introducing me to it. Gibran’s works are among my most treasured. As I downsize my home in my maturity, these will stay, not matter what else goes. And this particular quote is one of many that we read and reread to remind ourselves of the only values that truly matter. Thank you for posting, Suban. A good lesson to be taken by humans too. And the lion (in this case, eagles) shall lay down with the lamb. May it be so. Peace, Subhan. A beautiful one to share …Peace and contentment is what we aspire! I’ve nominated you for One Lovely Blog Award. No problem, it is my pleasure. Thank you ! Thank for your post. I like it a lot. What a meaningful fable story. Have a good day, my teacher! This Khalil Gibran right? I see, great choice for a post though! Aah, the Lamb is a powerful trope is it not? #LOVE THIS POST! Thanks Subhan – I enjoyed reading this. Worthy of meditating upon. peace and grace hope that the world listen to the message of this inspiring man ! 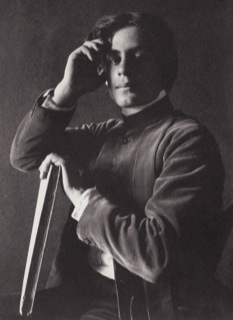 Kahlil Gibran was the first inspirational writer I encountered outside of the Bible. He touched my heart then and he still does. Ah, Gibran … my favorite since I discovered him during my college days. Thanks for the post and the reminder. I just took down an old volume from the bookcase. A small, leather-bound copy of “The Prophet” with an inscription “May 16, 1961”. There are underlined verses and notations in the margins. I have always loved his poetry and lyrical prose. Thank you, Subhan! Have a wonderful day brother. true, that we should love our enemies, who sometimes are their own worst enemies. Thank you Subhan for posting this excerpt from Khalil Gibran. Wonderful poet and writer. His words are classic and stand the test of time. You are right to question why Khalil Gibran didn’t receive a Nobel Prize. There are some mysteries in this world that we will never unravel. . .this is one of them. May God grace you with joy and strength for the journey! I adore Khalil Gibran, and I need to read some of his work again…it has been a long time. Thanks for posting this!